Rather than attempting to keep the LG G5 a secret, LG is taking to their social channels to slowly tease their new flagship phone. So far we know the name and when it will be announced, that some of its features might be playful, and the fact that it will have an always-on display. 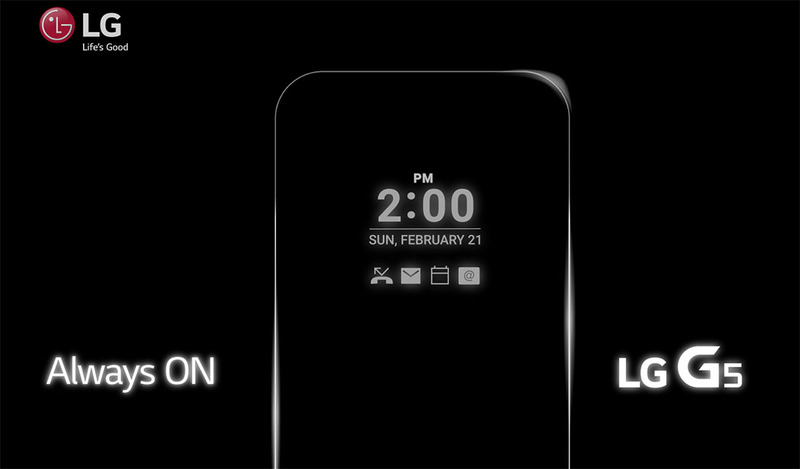 Don’t be shocked if LG continues to tease the G5 feature-by-feature over the next week and a half as we inch closer to its unveiling. My guess is that they’ll subtly announce dual cameras, a new premium design, and maybe even something about the slideout battery. I don’t want to put them in the same category as OnePlus, but in a way, this is kind of a trollout of features. Either way, it’s exciting to say the least. We’re curious about something, though – will all of this stuff be enough to grab your attention? Last year wasn’t a particularly good year for LG in terms of their mobile business. Most reports had the G4 lagging behind expectations and their earnings for mobile certainly took a hit. That’s not to say that the G4 was a bad phone, it just may not have stood out as a meaningful alternative to whatever Samsung cooked up. In 2016, we expect the LG G5 to be quite good. There should be a metal body and a stunning display and a top tier processor and removable storage and a slideout battery and LG’s take on a dual-camera setup and more. But is “quite good” good enough? What do you need to see from LG to ditch your Nexus or Samsung Galaxy or Motorola phone? How can the LG G5 win you over?